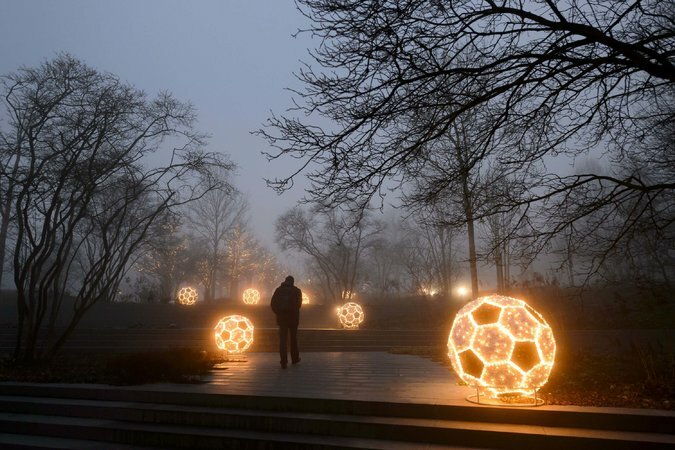 Holiday decorations outside the FIFA headquarters in Zurich. The impertinence is so terribly uncouth. There the FIFA dons lay in their beds in the deeply luxurious Baur au Lac in Zurich, digesting their splendid dinner from the Sonnenberg restaurant — the chef is reportedly Sepp Blatter’s favorite in the whole wide world. They had passed the previous day dutifully talking the glum language of reform. Now, in tramped the Swiss police at 6 a.m. to haul away two of their worthies to face bribery indictments in the United States.